Hamilton May offers a two bedroom duplex apartment available for sale in a modern building on Pychowicka street. Hamilton May is pleased to present a one bedroom apartment available for rent in a gated residential development in the Dębniki district. Hamilton May presents an apartment of 17.19m2 offered for sale in a newly renovated townhouse in the Dębniki district - ideal as an investment. 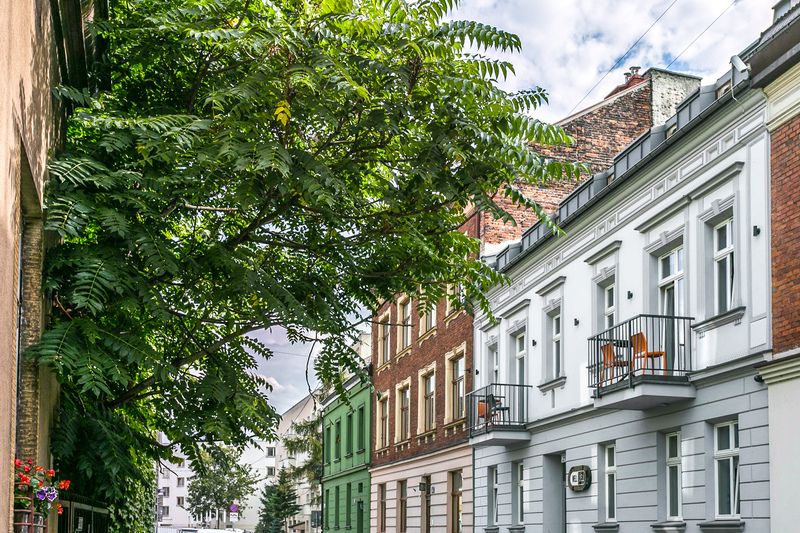 Hamilton May presents an apartment of 38.6m2 divided into two smaller premises, offered for sale in a newly renovated townhouse in the Dębniki district. The property is ideal for an investment. Hamilton May is pleased to present a two bedroom apartment available for sale in a new investment, in an extremely attractive location. Hamilton May is pleased to present an apartment available for sale in a new investment, in an extremely attractive location. Hamilton May is pleased to present a package of minimum 3 apartments available for sale as an investment, in an extremely attractive location. Hamilton May offers a custom-designed apartment finished to a very high standard, available for sale in a new investment of one of the best Krakow developers - Interbud. Hamilton May offers a selection of high quality properties for sale in the district of Dębniki. We recommend viewing of our property listings to get full, up to date information regarding available apartments for sale in Dębniki. The sales market in Dębniki Sales prices are around or below average for Krakow, approximately 5000-7000 PLN per m2, and purchase prices fall in more outlying areas of the district. The area is popular with a variety of buyers, including first time buyers with young families. Description property in region Closest to the city, next to the Vistula River, is the most historic part of the district, Stare (Old) Dębniki, where the market square of Rynek Dębnicki can be found. This part of Dębniki is characterized by many historic 19th century tenement buildings as well as single family houses. The bridge over the river Vistula in this area is called Most Dębnicki. Several well known estates can be found in Dębniki, from high rise blocks of flats constructed in the 1970s and 1980s in Osiedle Podwawelskie and Osiedle Ruczaj to newer estates, a mixture of low and high rise constructions which have been constructed mainly in the past ten years. In the further reaches of the district, there is a mixture of older houses and new single family houses, as well as new housing estates. The district contains many open spaces, Zakrzówek Nature Park being the most popular of them. A new complex of university buildings, called the Third Campus of the Jagiellonian University, was recently developed within the district in the Ruczaj neighbourhood. A business park also provides many jobs in the area driving demand for apartments in the region.